I just got the deck today by mail. Looking at the cards.
' Star Ancestor ' came through a few times over. Water guardian comes up for me quite a bit. I am still tuning in to my deck. Nice! 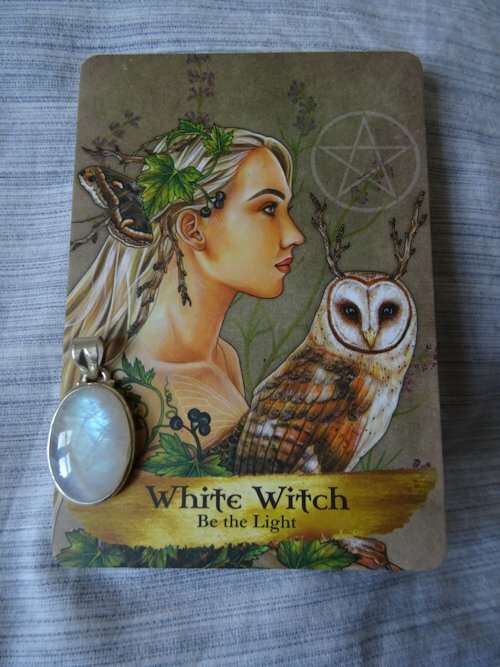 I like that card :) The pendant goes well with it too! Isn't he gorgeous! Have you seen the different coloured eyes? I get this one quite often too. Yes I am exploring that one. Quite enjoying it. The different colored eyes. Yes, maybe it's shape shifting there.